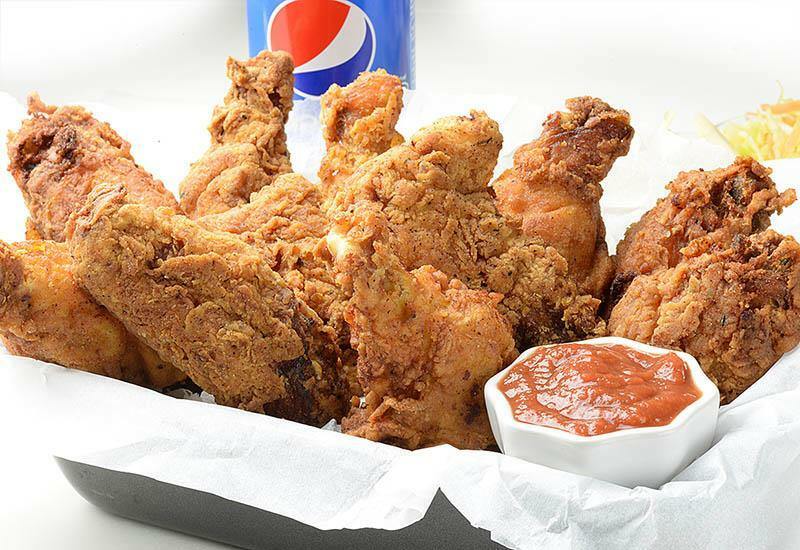 If you are wondering how to make crispy and spicy, homemade Fried Chicken as weeknight dinner for your family or you need crowd pleasers Super Bowl Food, try this cheap, quick and easy KFC Copycat recipe. Healthy family dinner should include chicken baked in the oven or cooked in Crock Pot, served with lots of veggies. But sometimes we can allow ourselves to forget the clean eating. Everybody needs simple comfort food from time to time. 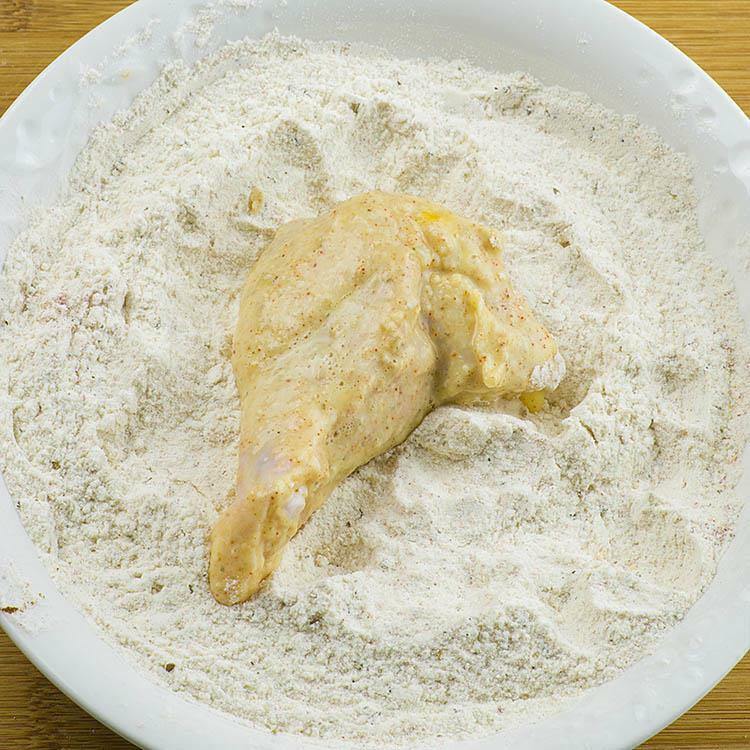 This Fried Chicken recipe is perfect balance between fast food and healthy meals. It’s real homemade dinner, but taste so good and it’s incredibly easy to make. It’s even better than takeout food. 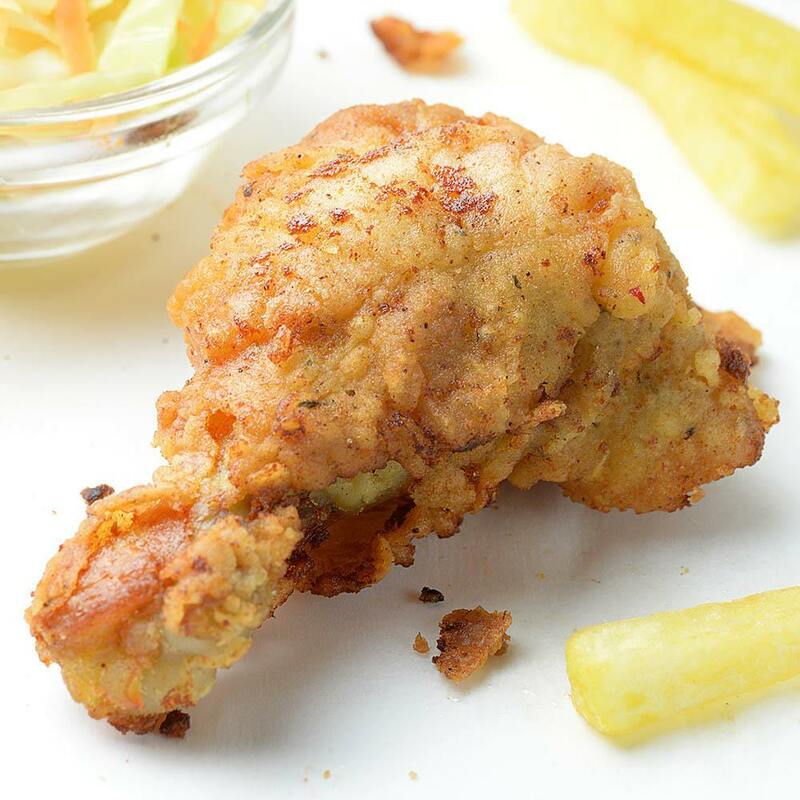 This Fried Chicken is called KFC Copycat recipe. Although it’s just another guess at KFC’s secret it’s pretty close and really delicious. The chicken is incredibly juicy on the inside because it’s dipped in buttermilk for couple of hours. On the outside it’s extra crispy and spicy. 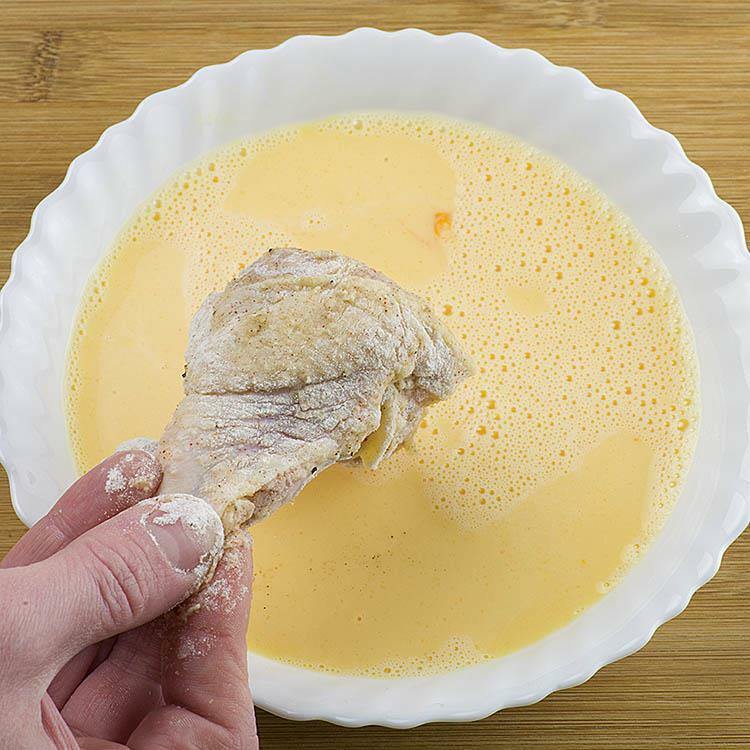 After you coat it with eggs and mixture of flour and seasonings you can fry it in skillet, pan or deep fryer. 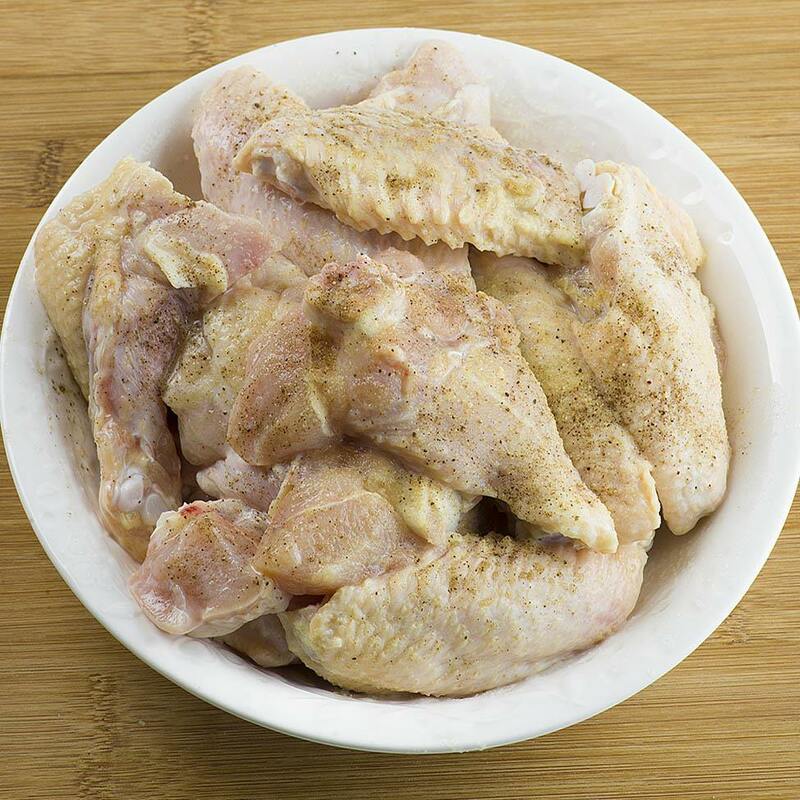 It’s also cheap dinner recipe using just chicken wings and that’s totally on the budget. But this recipe will works well with chicken stripes, too. If using drumsticks, you’ll need to bake them after you crisp them on the pan. They are too big to get well done only by frying them. 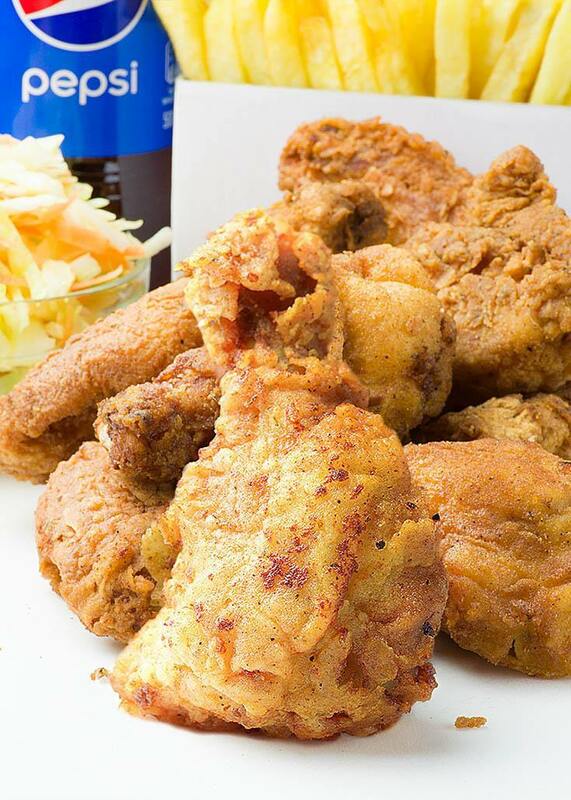 You may want to try this Fried Chicken recipe for Super Bowl or any other party. It’s very quick and simple to make, so you can make a ton of crowd pleasers food in a very short time.appetizer recipes. I suggest you to add these Easy Cheesy Pizza Breadsticks, Easy Chicken Taquitos Recipe or Chicken Avocado Salad Roll Ups to your Super Bowl food menu this year. This Fried Chicken recipe is real homemade dinner, but taste so good and it’s incredibly easy to make. These look delicious. I’ve never thought about making KFC at home! What a great idea. Much more healthy when you have control over what you put into the recipe. I’m going to try making this for the family. Thanks for sharing. I love the thought of making this for a weeknight dinner. Looks tasty. Such a great idea to make it from home. Looks delish. A must try. But why buttermilk and regular milk?